Tora! Tora! Tora! (1970) is a major Hollywood motion picture depicting the Japanese attack on the US naval base at Pearl Harbor on December 7, 1941. The Japanese air force attacked the US Fleet at Pearl Harbor, Hawaii, the most important American naval base in the Pacific. 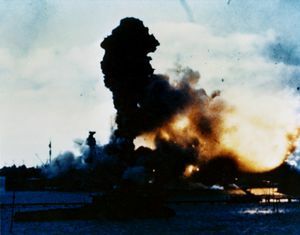 The Japanese destroyed a significant number of American vessels and in the process, some 2000 US service personnel were killed. The attack on Pearl Harbor changed the history of the world. It provoked America into declaring war on Japan and soon the US was also at war with the other Axis powers, Italy and Germany. Tora! Tora! Tora! is a Japanese-American epic that dramatizes the attack on Pearl Harbor and sought to be as historically accurate as possible. The film was directed by the American director Richard Fleischer and the Japanese duo of Toshio Masuda and Kanji Fukasaku. Unlike other war movies of the time and indeed since the motion picture did not seek an all-star cast. Rather it selected well-established and respected actors such as Jason Robards and Joseph Cotton, so not to distract from the historical accuracy of the film and to make it more realistic. The screenplay was based on the research and books of the military historian Ladislas Farago. The production team took great pains to be as accurate as it could. Some of the technical advisors had been involved in various stages of the events at Pearl Harbor in 1941. The film was also committed to providing both an American and Japanese perspective and wanted to avoid a glorification of US military power. The film was not well- received and it was panned by the critics who claimed that it was overlong and tedious. It was a massive hit in Japan, where the audiences liked the sympathetic portrayal of the Japanese. 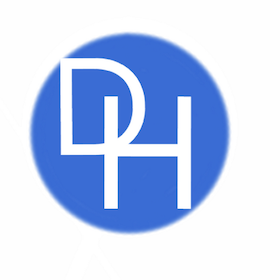 The film is named after the Japanese code name for the assault on Pearl Harbor. Tora means ‘surprise’ or ‘lightening strike’ in the Japanese language. The movie remains very popular to this day, while not considered a classic. Indeed, it has shaped many American and Japanese perceptions of Pearl Harbor. This article will discuss the accuracy of Tora Tora Tora and if it presents a reliable account of the Japanese attack on Pearl Harbor. The film largely portrays the background to the attack on Pearl Harbor very accurately. Tensions had been rising between America and Japan for many years. During WWI, the Japanese and the Americans had been allies. However, when Japan invaded Manchuria in China in 1931 the American government and public were outraged. The relationship between Tokyo and the US deteriorated over the years, especially after the Japanese signed a treaty with Italy and Germany. The movie clearly shows how poor the relationship between the Americans and Japanese had become by 1941. This was after the Japanese army had occupied most of Indochina then a French colony with the agreement of the Vichy French governor. In response to this, the Americans had placed economic sanctions on Japan especially on the export of oil. This was intended to slow the Japanese war machine in China as the Japanese did not have their own supplies of oil. This led to the Japanese militarists drawing up a plan to attack the American naval base in Hawaii. The atmosphere of mistrust between the two nations is brilliantly portrayed. On December 6, 1941, President Franklin D. Roosevelt did appeal to the Japanese government for a peaceful resolution of the escalating crisis in the Pacific and he received no response. FDR was opposed to the Axis powers but he did not want to enter the war and wanted to maintain US neutrality. The Americans were very concerned about the possibility of a Japanese attack. This is all shown in the motion picture. The movie also makes clear that the US believed that its Pacific fleet was safe in Pearl Harbor. The movie correctly how the US naval command failed to anticipate a Japanese aerial assault on Pearl Harbor. The movie also shows how the Americans became aware of a Japanese plot to attack Pearl Harbor after they had decoded some secret communications. The movie shows the intelligence services messaging the US Navy in Pearl Harbor but that they failed to reach those in command. This actually happened and if the US intelligence services message had been relayed to Pearl Harbor in time then they could have defended themselves and denied the Japanese the element of surprise which was so important in their attack. The scenes in the movie where the Japanese attacked the US fleet moored in Pearl Harbor are very accurate. The Japanese attack involved a number of aircraft carriers escorted by battleships that all maintained radio silence as they sailed through the central Pacific. The attack as shown in the movie did not involve any Japanese warships attacking the US fleet. Rather the entire operations were carried out by Japan's fearsome Zero fighter planes and torpedo bombers. These aircraft took off as shown from Japanese aircraft carriers and made their way to Pearl Harbor once again maintaining strict radio silence. The Americans are shown as being taken completely by surprise and this was the case. This was to prove crucial. The Japanese attacked the American ships with bombs and torpedoes. They had developed very sophisticated torpedoes and they were dropped, at a low altitude by the Japanese Zeros and they sped through the water just below the surface. They detonated when they hit their target. These torpedoes were able to hit many American cruisers and battleships beneath the water line and they sank very quickly even though they were moored in the Harbor. This is also shown very dramatically but also very realistically. The disorganized nature of the American defense is also shown and the lack of air cover for the US fleet is also accurate. However, the planes that were used in the movie were not actually Japanese Zeros. They were adapted RCAF Harvard (T-6 Texan) training and BT-13 Valiant training aircraft and had the distinctive markings of the Japanese air force painted on their wings and tail-wings. The movie was able to acquire some planes from the time such as B-17s and the Curtiss P-40 Warhawk. The US P-40 planes shown in the motion picture are in reality only elaborate fiberglass props. The movie does accurately capture the extensive damage and destruction of the attack. The Japanese attack was almost a complete success. However, they failed to sink the US aircraft carriers, for the simple reason, that they were on maneuvers. This meant that the Japanese did not achieve all their objectives and this is shown very clearly in the movie. In one scene, the Japanese commander of the attack Admiral Yamamoto is informed that the US aircraft carriers had not been moored in Pearl Harbor. He clearly shows his disappointment and he displays a sense of foreboding. The aircraft carriers such as the USS Yorktown were to spearhead the counter-attack against the Japanese in the Pacific. The government in Tokyo did not intend to declare war on America as this would have ruined their plans for a surprise attack on the US fleet moored in Pearl Harbor. In fact, research indicated that the Japanese delayed this ultimatum at the last minute in case it alerted the Americans to the possibility of a military strike. On at least two occasions in the movie, Admiral Yamamoto states that the document was a declaration of war and he is shown to be visibly upset when he learns that the document had not been submitted to the American Secretary of State, before the attack . This is totally inaccurate. The Japanese after the war wanted to show that the attack on Pearl Harbor was not a cowardly attack and invented the idea that they had attempted to declare war on the Americans before the events of the 7th of December, 1941. The movie is too reliant on the Japanese interpretation of the events which are biased and inaccurate. Another inaccuracy and distortion of the history of the time is the portrayal of Emperor Hirohito. In the movie, he is shown as a moderate man who was essential peace-loving and that real power lay in the hands of the militarists such as Prime Minister Tojo who dominated the government. 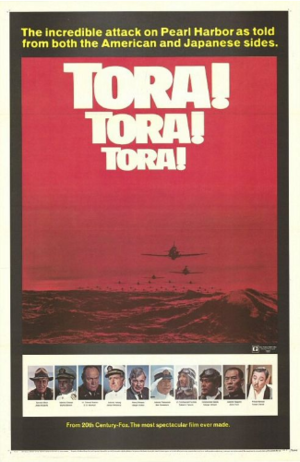 Tora Tora Tora portrays Hirohito as essential a figurehead and who was not responsible in any way for the attack. The issue of Hirohito’s role in the war has always been controversial. Many have argued that he could have done more to stop the conflict and indeed that he actively cooperated with the Japanese militarists as they tried to create a Japanese Empire in the Asia-Pacific region. The movie goes to great lengths to show that the Emperor was not responsible for the surprise attack on the US Fleet anchored in Hawaii. The motion picture shows the Japanese generals as dominating the Emperor and his only role was to sign documents that were placed before him. In reality, the political situation in Tokyo was not as straightforward as suggested in the movie. The makers of the movie would have us believe that the Japanese military practically forced the reluctant Emperor to sign the document that ordered the attack on Pearl Harbor. In fact, Hirohito was a far more powerful figure than indicated and that the military had to report to him and that under the constitution of 1936 he was entitled to raise objections to any decision and could even veto government actions. The movie gives the official version of the role of Hirohito in the war, that he was only a figurehead. It must be remembered that Hirohito was still Emperor of Japan at the time and was a much-revered figure. 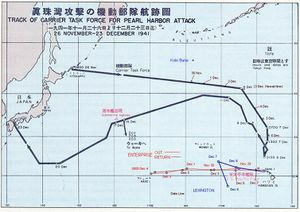 In fact, the surprise attack on Pearl Harbor was not objected to by the Hirohito and he permitted it to occur. In theory, he could have prevented the attack but as in so many other instances, he did nothing. The Emperor it was believed was sympathetic to the attack on Peral Harbor and the general aims of the Japanese military, but none of this is shown in the movie. Tora Tora Tora is a dramatic movie with some great action scenes and in many ways, it is an accurate portrayal of what happened on that terrible day on the 7th of December 1941. The background to Pearl Harbor and the attack on the US fleet is largely accurate and in many ways, it does show what actually occurred. However, there are some serious failings in the movie and they are not the typical inaccuracies in a Hollywood blockbuster. The role of the Japanese in the attack is very inaccurate. The attempt to show that the Japanese government attempted to submit a formal declaration of war was an effort to gloss over the fact that the attack on Pearl Harbor was a sneak attack that was contrary to all international laws and was a blatant act of aggression. Then the movie's portrayal of the role of Emperor Hirohito was also incorrect and it understates his role in the events in the run-up to the Japanese attack on the 7th of December 1941. These are serious failings and they undermine the credibility of the film and give a false sense of the events.